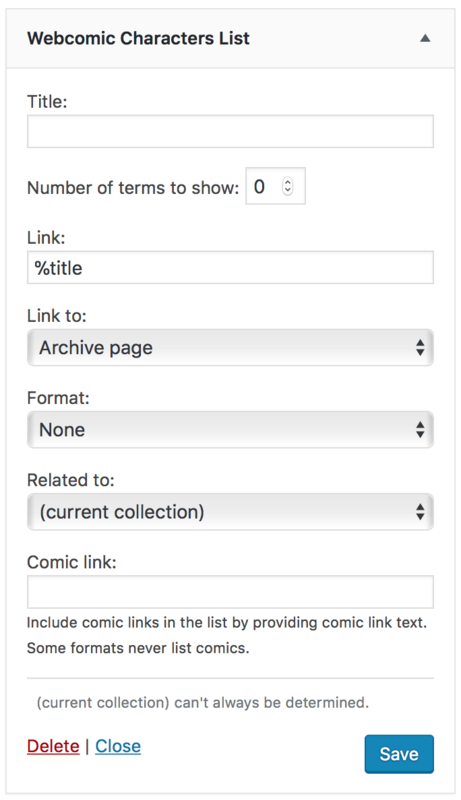 Display a list of comic characters. Optional number of characters to show; 0 shows all characters. The collection or comic the characters must be related to. The (current collection) can’t always be determined. Optional comic link text; accepts a variety of tokens. Some formats never list comics.